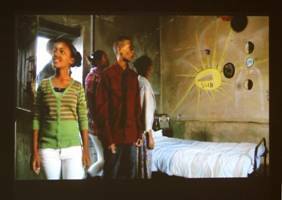 The film ‘My Room at the centre of the Universe’ was screened at the 2013 Jozi Film Festival on 17 February at the Bioscope in Fox street, Maboneng Precinct. 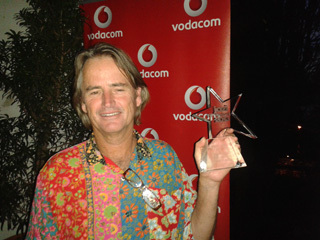 Africa meets Africa film director Guy Spiller won the award for Best Narrative short film. On set: Elvirdo Booysen, lead actor in 'My Room at the Centre of the Universe' on set with Director Guy Spiller and with Executive producer Helene Smuts. 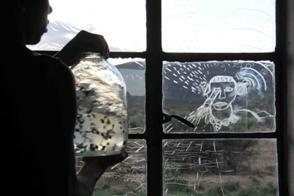 The window to his room becomes a frame or lens through which he contemplates the universe. 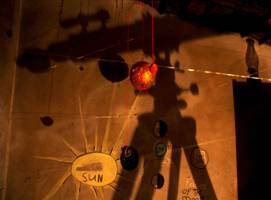 He makes thinking drawings on the window pane and on the walls of his room and with many experiments he transforms his room into a model of his understanding of the universe. 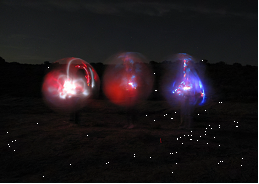 Scroll down to read and see more about how artists Marcus Neustetter and Bronwyn Lace bring science to life in the film. 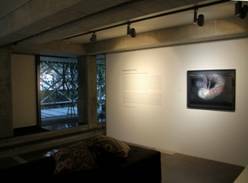 In July/August 2012 a preview of Africa meets Africa’s latest film in development, My Room at the Centre of the Universe, was screened at CIRCA Art Gallery in Rosebank, Johannesburg as part of the exhibition Dark Energy. The film is being sponsored by the National Lottery Distribution Trust Fund (NLDTF). Upstairs CIRCA displayed a series of very large photographic images of deep space,taken by the Hubble Space Telescope over the last 20 years. 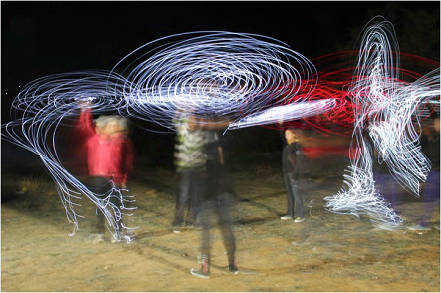 The exhibition was aptly timed to celebrate South Africa’s success in winning the bid to host 70% of the much anticipated international Square Kilometre Array (SKA) Project in the Northern Cape, near the town of Carnarvon. The SKA radio astronomy project will provide astrophysicists internationally with a wealth of data about the universe as it was just after the Big Bang – the moment when the universe we know first expanded from a small singularity. Since its launch in the 1990s the Hubble Space Telescope has been instrumental in bringing mankind remarkable views and new knowledge of the universe, as the SKA surely will too. Downstairs,at CIRCA’s Speke Photographic gallery, artists Bronwyn Lace and Marcus Neustetter presented Sutherland Reflections, an arts project developed over the past 4 years in close collaboration with the local community of the small Northern Cape town of Sutherland, which hosts the South African Astronomical Observatory(SAAO) and SALT - the South African Large Telescope. 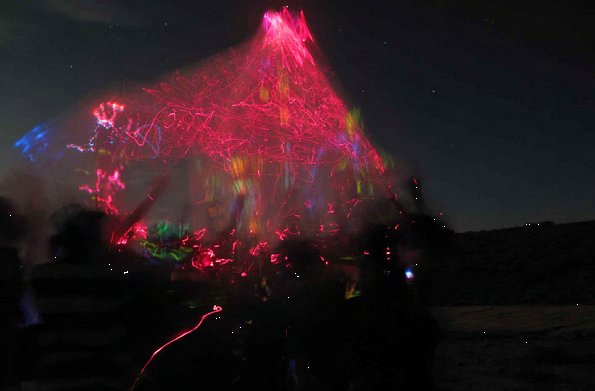 In contrast to the far-reaching views of Hubble, artists Lace and Neustetter have been working through low-tech, experimental and on-the-ground interventions that look at creating imagery and spectacle. 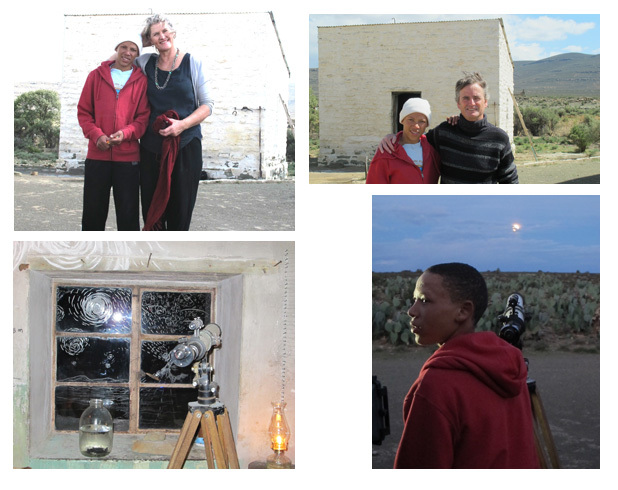 Their participatory processes have seen direct reflections of astronomical phenomena as well as the challenging social, economic and political conditions of the small Karoo town. (see www.sutherlandreflections.com for details). 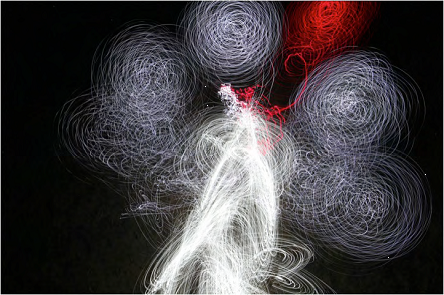 Bronwyn Lace and Marcus Neustetter are also members of the Africa meets Africa Project. The images below and above were taken by Marcus Neustetterduring the filming of Africa meets Africa: My Room at the Centre of the Universe, directed by regular AmA film maker Guy Spiller. With an accompanying resource book, also currently in development, the film departs from the act of sensitive and intensive observation common to the fields of astronomy, archaeology and the visual arts. A small Karoo farm outhouse becomes a space of contemplation and creativity for the main character, a 16 year old boy from Sutherland. One small window in his room acts as a framing device through which he observes and contemplates the landscape, the skies and ultimately the universe - much like a telescope does for an astrophysicist and, indeed, the view Hubble offers humankind.